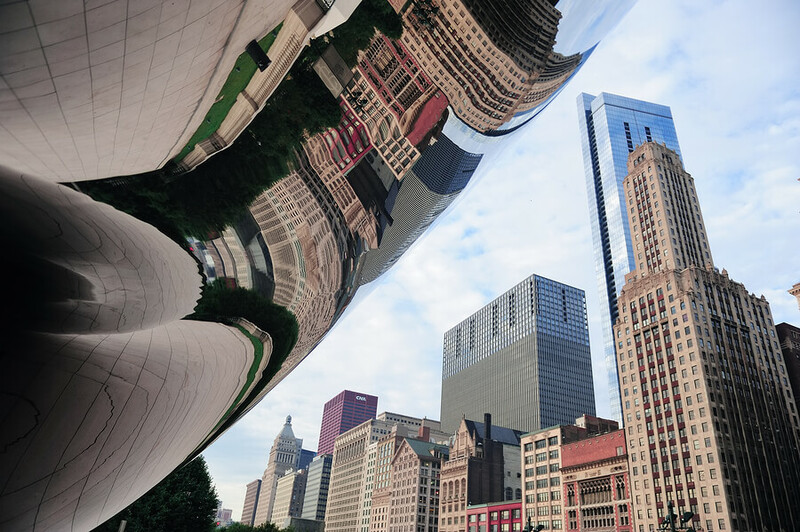 The Loop is the heart of Chicago’s business district and the anchor for other surrounding downtown neighborhoods such as Streeterville, River North, the New Eastside, and the West and South Loop. Along with plenty of commercial and residential high-rises, Chicago’s historic theatre district is located here and the largest venues such as the Chicago Theatre, the Oriental Theatre, and the Civic Opera House, lie between Congress and Delaware Street. The Chicago Loop name is most widely recognized for the wrap-around “loop” that the CTA’s elevated railways devise, allowing for easy public transportation around downtown. The Loop is the second largest business district in the nation and many of Chicago’s most recognizable skyscraper’s lie within the Loop. It’s most notable buildings include the Willis Tower, the Daley Center, the Chicago Board of Trade Building, the Rookery and the CNA Center. Chicago Loop entertainment includes nearly 20 top-rated theatres and the world-class shopping along State Street and nearby Michigan Avenue. Despite the Magnificent Mile being just north of the Loop boundaries, shoppers will find easy access to North Michigan Avenue well within walking distance. Visitors and residents will also enjoy summertime hotspots like the Buckingham Fountain at Grant Park, the Jay Pritzken Pavilion, the Crown Fountain, and the “Bean” in Millennium Park. Combine world renowned museums, fabulous performing arts venues, the vast waters of Lake Michigan and an overwhelming amount of breathtaking skyscrapers and the result equals the unprecedented neighborhood of the Chicago Loop-a truly remarkable place. Because the Loop is a primary destination for commuters and visitors to Chicago, all public transportation lines converge at the Loop. Major transfer points include the Clark/Wells stop, which services the Blue, Brown, Green, Orange, Pink, and Purple Lines as well as the Wabash/Wells stop, which includes the Brown, Orange, Pink, and Purple Lines. Main Red Line stops in the Loop include Monroe, Lake, and Jackson, which all run below State Street. There is also a Metra Stop in the Loop which services Harvey, South Chicago, University Park, Blue Island, Flossmor, and Carroll Avenue in Michigan City. Discover more about Chicago Loop real estate for sale and start viewing available condos or lofts today! The Chicago Loop is located in the heart of Downtown Chicago. This where the majority of people work in Chicago so you'll be surrounded by great restaurants and have plenty of options for public transportation. During the day the Loop is alive with millions of people going to work, but after work the Loop becomes calm and quiet. Real Estate in the Loop is mostly high-rise condos starting at $150,000 and going into the millions.